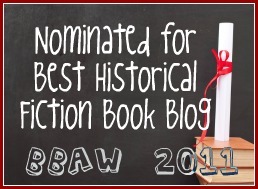 Historical Tapestry: Past Encounters Blog Tour: Why I Love...the Film "Brief Encounter"
Past Encounters Blog Tour: Why I Love...the Film "Brief Encounter"
In England the film Brief Encounter is rated as the best romantic film of all time. I am pretty sure that in any other country in the world this wouldn’t be so, and because of that the film gives audiences a rare insight into our Englishness. It is a film that I watched with my mother on a TV repeat, and I was astonished to see it bring her to tears, and she was a woman who rarely cried. In my novel Past Encounters, Rhoda falls for Matthew, a location assistant for the film Brief Encounter, even though she is already engaged to army officer Peter. Peter is a long-term intern in a prisoner of war camp. This is a parallel to the film where middle class housewife Laura, and respectable doctor Alec, contemplate an affair. In the film, for the sake of their existing spouses, Laura and Alec sacrifice their love for each other in favour of returning to lives of conformity. How many people must have been faced with exactly this dilemma? The pain and intensity of illicit love have an enduring fascination. In the US, the best-selling book (and film) ‘The Bridges of Madison County’ expresses exactly this idea. This repression of passions and stiff upper-lip approach is what made English people so stoic during WWII, and why the film touched a nerve with the audiences of the time. The showing of emotion in this period was viewed as a weakness, and too much affection as sentimentality. Partly it was to do with wartime morale; that no matter what came, you would just grit your teeth and carry on. 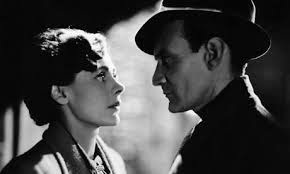 The theme of Brief Encounter was made more poignant at the time by the fact that the film came out when many men were away fighting and feared their wives would not wait for them to come home from war. In modern times the film has come to highlight the difference in attitudes to adultery between the pre and post-sexual revolution in the 1960’s. One of the things I loved about the film was how understated the performances were, and this was an effect I wanted to build in the novel, to make the emotion deep but not showy, to build the relationships slowly and to make my couple real. When interviewing people for the novel I was struck by how matter-of-fact people were when talking about quite horrific wartime events. This did not make the stories less moving, but rather more powerful. It also put me in touch with the sensibility of the times, something I wanted to recreate in Past Encounters. For example class distinction was still an obvious part of English life (and still is, if we’re honest, though we Brits try our best to pretend it’s not there). I was also taken by the visual starkness of the film, and by Laura’s (Celia Johnson’s) first person narration, which was a highly unusual device back then, that you could actually hear the thoughts of the character in voice-over. Thank you so much, Davina, for this wonderfully insightful guest post! What a fascinating concept to use a movie like Brief Encounter as a backdrop for a story that deals with much of the same emotions and suppression of desires. Now I want to see the movie! 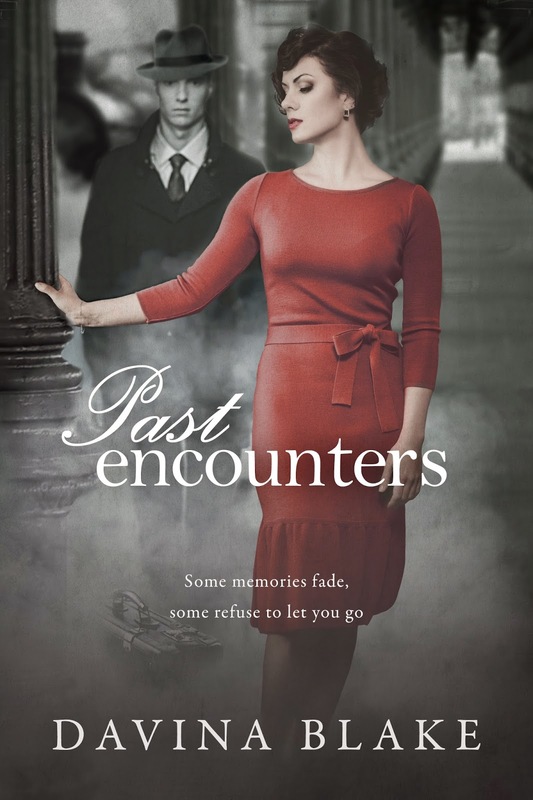 Readers, come back on 12/6 for my review of Past Encounters and be sure to continue below for more information on the book, the author and the blog tour! The day Rhoda Middleton opens a letter from another woman, she becomes convinced her husband, Peter, is having an affair. But when Rhoda tracks the mysterious woman down, she discovers she is not Peter’s lover after all, but the wife of his best friend, Archie Foster. There is only one problem – Rhoda has never even heard of Archie Foster. Devastated by this betrayal of trust, Rhoda tries to find out why Peter has kept this friendship a secret for so long. Her search leads her back to 1945, but as she gradually uncovers Peter’s wartime experiences she must wrestle with painful memories of her own. For Rhoda too cannot escape the ghosts of the past. Taking us on a journey from the atmospheric filming of Brief Encounter, to the extraordinary Great March of prisoners of war through snow-bound Germany, PAST ENCOUNTERS explores themes of friendship, hope, and how in the end, it is the small things that enable love to survive. 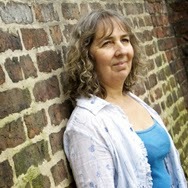 For more information visit Davina Blake’s website and blog. You can also find her on Twitter.